One of my fondest memories growing up as a kid will always be going out and shooting clay targets with my dad at our cabin. It was just the two of us with a box of clays, a hand thrower, a few boxes of shells, and our shotguns. My dad had recently purchased the best beginner shotgun for the money we could find – a 20 gauge Remington 870 Express Youth model. Over the years I probably put 10,000 shells through that gun, and while I grew out of it (both in size & in budget) I can’t wait to someday take my son out to that same spot to teach him how to shoot. Those days we’d spend a few hours just throwing clays & shooting them, talking about whatever came to our minds, & coming up with whatever little games or competitions we could. Every once in a while we still go back, and it’s fun to just reminisce about those memories we had as I was growing up. A few months ago I actually brought my favorite beginner shotgun out & shot it. While that little 20 gauge Remington 870 Express youth model felt like a cap gun compared to my new 12 gauge Benelli Super Black Eagle 3, I had a great time shooting it. What Makes For The Best Entry Level Shotgun? To me, the best beginner shotgun is far more about the experiences you’re going to have with that gun than it is about anything else. While more expensive guns focus on craftsmanship & other expensive features, an entry level shotgun is going to just focus on getting the job done. It needs to operate exactly how you’d expect it to when called upon, and it shouldn’t be a source of frustration. These guns typically don’t cost very much, so more often than not they are pump action shotguns. This keeps things as manual as possible, and leaves less opportunity for failure than you’d have with a semi-auto shotgun. 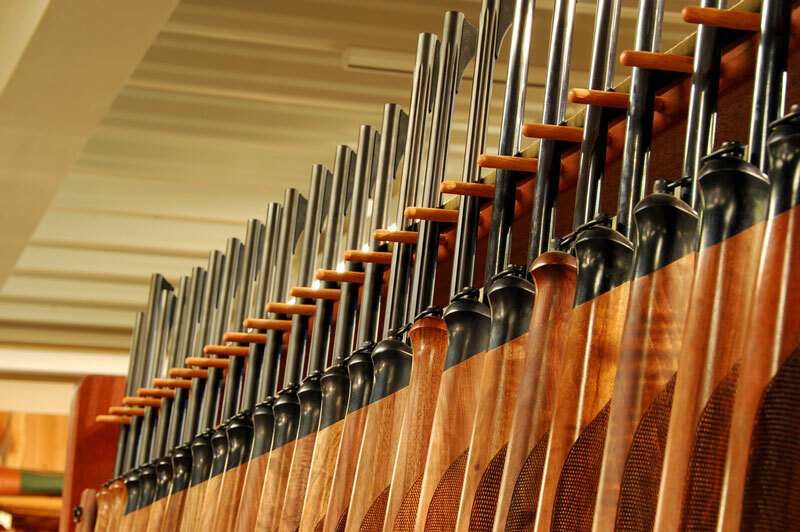 If you go to your local sportsman’s club, you’re likely going to see a massive variety to guns. Many of those shooters have been shooting a very long time, so you aren’t going to find many entry level shotguns in the gun rack. However, the reality is that more often than not it is going to come down to the shooter’s ability, not the gun. Sure, if you’re getting to be a great shooter a better gun will likely be a better option for you. But if you’re a beginner when it comes to shooting, there really isn’t any reason why you would need to spend a lot on a shotgun. Saving your money to me able to afford to go shooting more often is going to make you a far better shooter than blowing your entire budget on a pricey gun. When you’re looking for an entry level shotgun, you’re likely going to be attempted to either stretch your budget or get a less expensive shotgun with features typically found on a more expensive gun. Please take my advice when I tell you not to fall into this temptation. There might be some exceptions, but they are going to be few & far between. Your safest bet for the best beginner shotgun is going to be to go with a pump action. The reason I say you should go with a pump action shotgun is because everything is entirely manual. While this might not seem like an actual perk at first glance, I can assure you that it is. There is considerably less that can go wrong & cause a gun jam on a pump action shotgun than there are with a semi-auto or even a break action shotgun (more on this later). The only reason a pump action shotgun wouldn’t cycle far enough back to chamber a new shell is if you didn’t pump it far enough, and you definitely can’t blame that on the gun! An entry level semi auto shotgun is going to be considerably more likely to jam, or simply not cycle enough to chamber a new shell for you after years of use. For example, I won a Stoeger M3500 at a field trial about 10 years ago. While it worked great for a long time (I put probably around 5,000 – 7,500 shells through it), eventually it stopped cycling far enough back to chamber a new shell. I like to think I maintained the shotgun pretty well throughout the years, but the reality is that even for a gun that is likely in a tier above beginner shotguns – it wore out. As for beginner break action shotguns, I’ve seen a lot of guys try to get the high end features of a break action at an entry level price point. Let me tell you, it almost never works out well. I’m not going to name the brands because I’m not here to bash company’s hard work, but the actions always seem to end up getting mar or even gouging metal off eventually. At that point, the gun is pretty much useless (or worse, dangerous). For comparison’s sake, I’m going to say the best price point for an entry level shotgun is somewhere in the $350 – $450 price range. There will be some outliers, but this is where I’m typically seeing people pulling the trigger on purchasing a gun & the guns actually lasting a long time. The reality is that every shotgun is going to perform great right out of the box. You aren’t going to have any jams or issues like that. The issue that ends up arising is longevity. If you’re looking to spend $250 on a shotgun, you should be fully aware that it likely isn’t going to last you as long as if you had spent an extra $100. On the other end of the spectrum, $450 feels like about what an entry level shotgun should cost. There’s absolutely nothing wrong with spending more than that if you have the budget for it, but at that point we are realistically no longer talking about a true beginner shotgun. Like I said, there is nothing wrong with that at all, but just understand that in this article we aren’t classifying those guns as “entry level shotguns”. Let me start off by saying that while there are definitely some great, lesser-known gun manufacturers out there, what we’re looking for out of this shotgun is longevity. In order to be proven in the longevity department, these guns need to be around a long time. In no way are we bashing new gun brands here or picking on the “little guy”. We’re simply trying to point you in the direction of the best beginner shotgun that is going to last a long time. The guns that are going to show up on this list have all been proven to be top rated beginner shotguns from reputable brands. After shooting these guns & discussing with firearms experts around the industry, we have zero hesitation recommending the models from these brands. You’re going to see some very well-known brands like Remington, Mossberg, Winchester, etc. So without further ado, lets get to our list of the best entry level shotguns that money can buy! 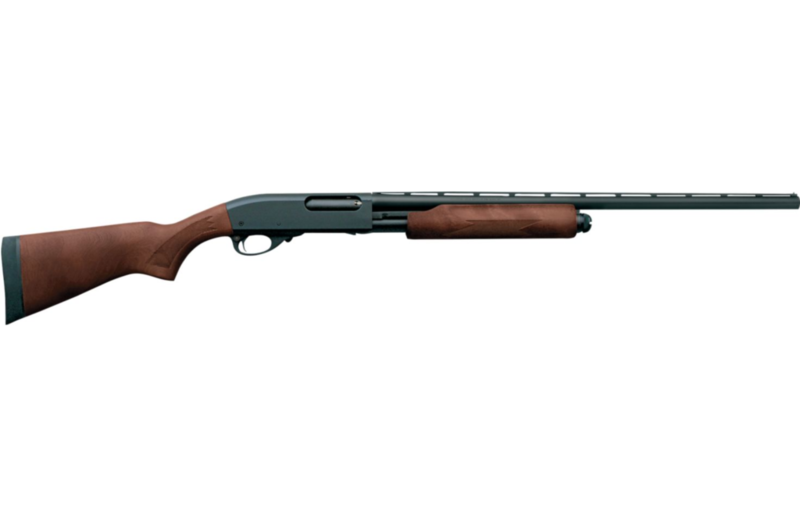 The Remington 870 Express is hands-down the best entry level shotgun on the market today. This gun has literally been made since 1950, with more than 11,000,000 being made! That means there is definitely a large enough sample size to be able to be able to say that this shotgun has enough longevity to be worth your money. Since this model has been around so long (almost 70 years) it has been fine-tuned to give you the most out of your entry level price point. This shotgun is great for all hunting & shooting types, whether you’re at the sportsman’s club, grouse hunting, pheasant hunting, or waterfowl hunting. 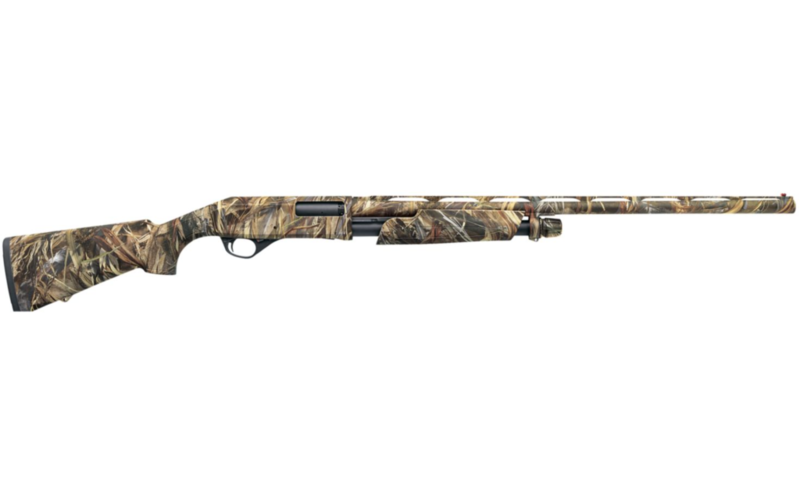 Another great feature of the Remington 870 Express that makes it the best beginner shotgun is that you can also purchase different barrels for deer hunting. While Remington calls these “replacement barrels”, in actuality they are simply expanding your menu of options. These barrel options include a fully rifled option & even an option that is super easy to attach a scope mount to. This essentially means you are going to be able to both bird hunt & effectively deer hunt with the same shotgun. All you need to do is swap out the barrels. If you’re in the market for the best entry level shotgun, we can recommend the Remington 870 without hesitation! The Mossberg Model 500 is probably the only shotgun that is going to give the Remington 870 Express a run for it’s money in our competition for the best beginner shotgun. It seems like everyone you meet that is just getting into shooting has either a Remington 870 Express or a Mossberg Model 500. Both guns are great options, and offer rugged dependability that is, quite frankly, kind of hard to find at this price point. This entry level shotgun is also great for all shooting types, so you can bring it out with you on nearly any kind of hunting or shooting adventure you run into. 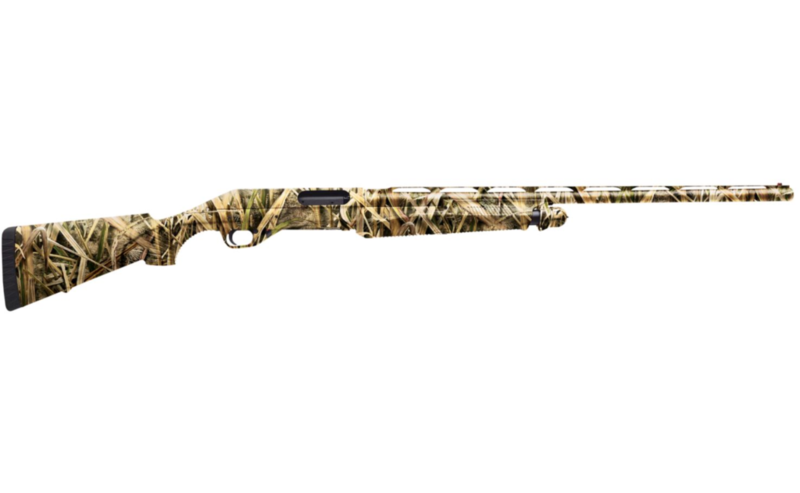 The Mossberg Model 500 also has the option to purchase additional barrels for it, meaning it will double as your trusty slug gun during deer season. Options include fully rifled barrels with fixed sites or for a slightly higher price point you can get it pre-drilled to be compatible with scope mounts. 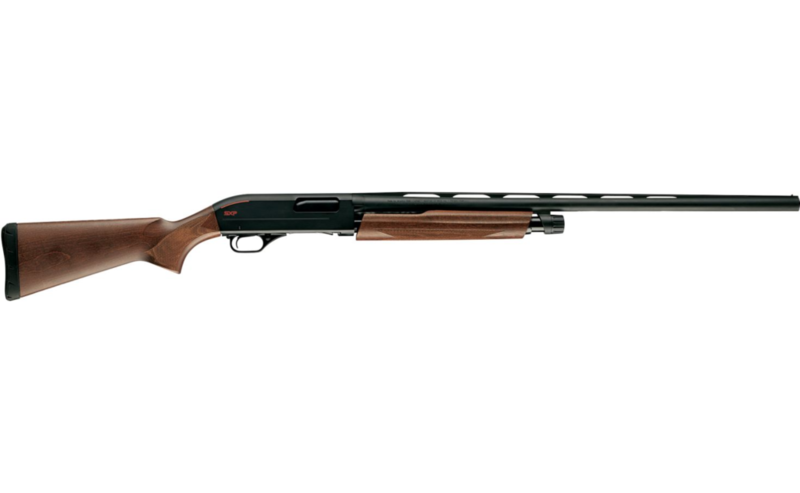 Third on our list of the best beginner shotguns is the Winchester SXP Field Pump Action Shotgun. This is a really nice shotgun for the price, and from a well respected brand like Winchester you really can’t go wrong. Winchester will continue to show up on our lists of the top shotguns in higher price points, and they’ve clearly used what they’ve learned across their portfolio to improve the SXP. A pretty nice feature of the WInchester SXP Field Pump Action Shotgun is a drop out trigger. This makes cleaning your entry level shotgun super easy, not to mention significantly more effective since you can reach those hard to get to places. The recoil pad is also designed to direct the energy from recoil down & away from your cheek, meaning you are going to flinch a lot less over time. 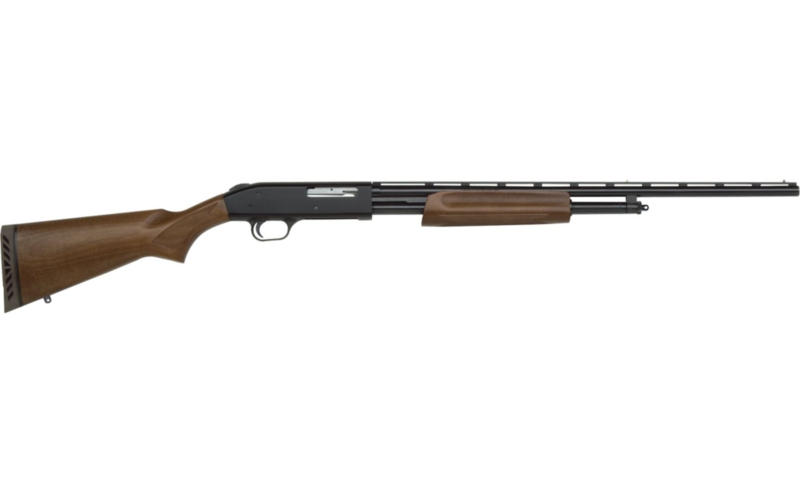 All things considered, we can’t reasonably rank the Winchester SXP Field Pump Action Shotgun above the Remington 870 Express or the Mossberg Model 500. However, with that being said it is also incredibly difficult to argue with anyone that opts to buy a Winchester SXP. It’s a solid entry level shotgun at a great price point! Anytime you are looking to start a discussion about top rated shotguns, there are a few names that are almost definitely going to show up on the list. Benelli has cemented themselves as one of those brand names through quality design, incredible attention to detail, and guns that simply won’t quit. The Benelli Nova is no exception to that rule, even though we feel that Benelli’s true strength comes in their higher end shotguns. That being said, the Benelli Nova is still up there with one of the best beginner shotguns for the money. You will notice that the Benelli Nova is one of the more expensive entry level shotguns on our list, actually almost to the top of our $450 range. There is good reason for that though, as the Benelli Nova is actually one of the few shotguns at this price point that are chambered to accept 3.5″ shotgun shells. Those looking to shoot 3 1/2 inch shells (we’re looking at you goose hunters) will definitely want to move the Benelli Nova right to the top of this list. While it hasn’t been around as long as the Remington 870 Express, the Benelli Nova’s ability to shoot 3 1/2 inch shells definitely deserves a nod & a position in our top 5 entry level shotguns! There are definitely going to be quite a few people that are enticed by the Stoeger brand, especially with the Model P3000. To be fair, this is a nice gun for exactly what it’s intended to be – an entry level shotgun that holds you over a year or two until you can afford something a little more expensive. If that is your expectation, we have absolutely no issue with saving some money on the Stoeger Model P3000. However, the reason this shotgun falls lower on this list is due to it’s lack of longevity when compared with the other shotguns for beginners. It simply doesn’t hold up against the test of time like the Remington 870’s or the Mossberg Model 500’s that are out there. 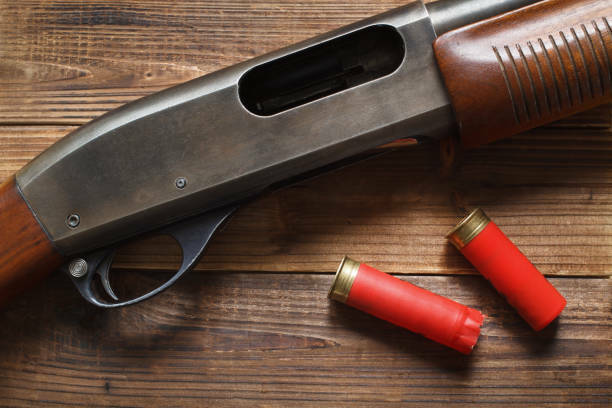 If you’re looking to get an entry level shotgun that the next generation can also learn to shoot with, we suggest you look higher up on this list.